The College was founded in 1956 through the initiative and vision of Rabbi Dr Werner Van der Zyl, a refugee from Nazi Germany who came to the United Kingdom in 1938. He sought to model in the UK a centre of Jewish scholarship similar to the famous Berlin Hoschshule, shut down by the Nazis in 1942, where he had studied. Van der Zyl’s original intention was to call his new institution the Jewish Theological College, but when Rabbi Dr Leo Baeck, of whom van der Zyl was a devoted disciple, died shortly afterwards the College was named in his honour. In 1964 the College became jointly sponsored by the Reform Synagogues of Great Britain(RSGB) (now the Movement for Reform Judaism) and the Union of Liberal and Progressive Synagogues (ULPS) ( now Liberal Judaism). In 1967 a decision in principle was made to accept women candidates to the Rabbinic programme and the first woman Rabbi graduated in 1975. In 1985 Rabbi Professor Jonathan Magonet became the first full-time Principal. In 2001 The Centre for Jewish Education (CJE) integrated with the old Leo Baeck College to become Leo Baeck College – Centre For Jewish Education (LBC – CJE). In September 2011 Rabbi Dr Deborah Kahn-Harris became Principal of the College. The College continues to be sponsored by The Movement for Reform Judaism and Liberal Judaism. Two months later, Leo Baeck died and the College was renamed after him. He had become a legend in his own lifetime – for his immense scholarship (evident in both his lectures and his literary output), his pastoral care, the influence he had on a whole generation of rabbis, the spiritual resistance he had displayed against the Nazis, and his unflagging energy and sage advice after the war in restoring a shattered Jewry. As a symbol of both Progressive Judaism and Jewish survival, Baeck was the ideal role model for a new rabbinic college. The need for such an institution had long been felt, and was one of the original Aims and Objects drawn up in 1946 by British Reform congregations shortly after they had banded together to form an association. Until then there was no institution for training Reform rabbis in England and all ministers had either received their training in the United States or had been graduates of the Orthodox Jews’ College who had later switched allegiance and served Reform synagogues. The College was housed at West London Synagogue and opened its doors with two students – Lionel Blue and Michael Leigh, both of whom were to carve out distinguished careers – and they were joined later by Henry Brandt, Michael Goulston and Dow Marmur. There was an impressive list of lecturers – all of whom had been refugees. 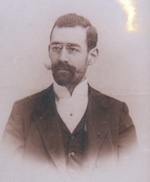 Rabbi Werner van der Zyl was not only the prime mover of the College, but went on to guide its progress for the next ten years as director and be responsible for much of its success. He also helped secure the support of the Union of Liberal and Progressive Synagogues (ULPS), and from 1964 onwards the College was jointly sponsored by both movements, with its graduates serving Reform and Liberal congregations and later also Masorti ones. Van der Zyl’s work was furthered by many others, including Rabbis Hugo Gryn and John Rayner who jointly supervised the College’s affairs after his retirement. In 1972 Rabbi Dr Albert Friedlander became Director and during his tenure the student body grew in size. Female students had been admitted from the College’s inception, although none had graduated as rabbis until Jacqueline Tabick in 1975. (‘I Never Really Wanted To Be First’ in Hear Our Voice, Sybil Sheridan (ed. ), SCM Press, Norwich, 1994.) The need for larger premises became increasingly apparent and eventually resulted in the College’s move in 1981 to the Manor House (later known as the Sternberg Centre) in North Finchley, along with other institutions within the Progressive movement. This in turn led to a major growth in its activities, especially its Extra-Mural Department, which provided a wide range of day time and evening activities for the wider public. Its Teachers Training Department also expanded and eventually formed a separate Education Department that served both the Reform and Liberal movements, later being known as the Centre for Jewish Education (CJE). A significant element of this was the College library, founded at its inception but which had grown greatly under the 18 year stewardship of Hyam Maccoby (1976-94), and is currently headed by Annette Boeckler. At present it boasts 60,000 books, including many rare editions. The donation of books from the former Hochschule Library to the College library was recognition of the College’s role in continuing its tradition of liberal scholarship and effectively being its direct descendant. For more information about the early years of the Leo Baeck College, see: Ellen Littmann, ‘The First Ten Years of the Leo Baeck College’ in Reform Judaism, Dow Marmur (ed. ), RSGB, London, 1973; and Michael Leigh, ‘1956 and All That’ in Renewing the Vision, ed Jonathan Romain, SCM Press, Norwich, 1996. Leo Baeck College marked its 60th anniversary in 2016.